In Case of an Emergency always Call 911. Nottingham is one of the only 100% all volunteer squads left in Mercer County. We currently have 2 Ambulances (111-3 & 111-4) a Supervisor car, which was donated by the township. We also have a 12 ft. trailer that was donated by Roma Bank, that we will be using for various events and functions. Nottingham is 100% all volunteer squad. If you would like to join the squad and you are at least 16 years of age you can fill out an application on our webiste or you can call 609-586-7790 for information on how to become a member. 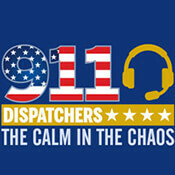 Its National Telecommunicator week! Nottingham Ambulance Squad would like to acknowledge and thank all of our Telecommunicators. Mercer Country Central Communications and all telecommunicators are a group of amazing people, who are our real "first responders." They are "The Calm in the Chaos!" Nottingham is one of the only 100% all volunteer squad left in Mercer County. Congratulations to the Top 10 Volunteers who have the highest # of hours for 2019! The Nottingham Ambulance Squad started out in the 1950s. Visit our ur Photo Gallery, Giving Back to the Community.